Will Medical Marijuana Ever Be Covered by Medicare? Will the time ever come when marijuana will be covered by medicare? Medical marijuana is becoming more and more a part of modern culture, particularly for its medical properties. And its medical properties are being more and more recognized by societies and authorities, so will the time ever come when marijuana will be covered by medicare? With medical marijuana being available now to more than half of North Americans, it seems like a viable medicine to be available through medicare. But there are concerns that this privilege will be abused by those that are not using marijuana for medical reasons. It is however, important to note that the sales from younger people using marijuana recreationally is what has driven the economy of this fast moving industry. Marijuana is well known for its medical properties, and is often used to treat things such as insomnia, loss of appetite and chronic pain, symptoms that are more common in a more senior demographic of society. So naturally, the seniors of society are looking to claim the rights to this medicine through medicare. 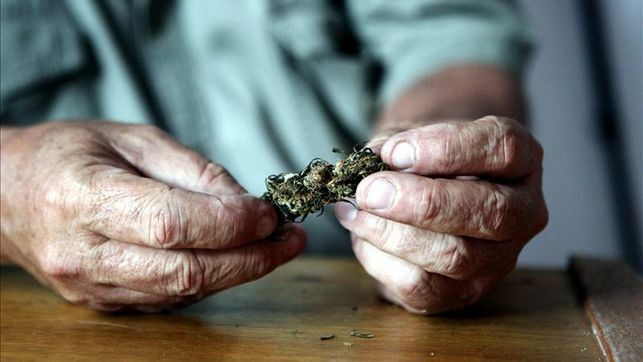 Recent studies have also found that there has been an increase in marijuana users in age brackets over 50 years old. There is, however, some concern over some sort of abuse that could happen by putting this plant on medicare. It may seem like the government would be financially supporting some substance abuse of marijuana. This could be true especially given the amount of young people that use marijuana in the USA, and the accessibility this will give them to using marijuana for non-medical reasons. However, this could be regulated through doctors taking more measures to ensure that their patient is truly in need of medical marijuana. Otherwise, it can be purchased in states where it is recreationally legal without subsidy from the government. It’s important to recognize here that there are a number of chemical drugs available with prescription that are being abused by those who have access to it. These include anti-anxiety medication and stimulant medications that are usually prescribed to people who suffer from ADHD. These drugs are often purchased with prescription, and are subsidized through medicare, and are then used to abuse the effect of the drug. Whether that means they are being purchased and then resold illegally, or whether the user themself has become addicted and is abusing the substance, it is next to impossible to avoid this. The solution to this problem is not to remove these drugs from the medicare system, because that would mean disadvantaging people that really need this in their lives. The solution to this problem probably comes from an entire social reeducation about pharmaceutical medicines. We spend so much time convincing young people to stay away from hard drugs (some people are even convincing their children to stay away from marijuana), but we do not explain the harsh reality of some of these pharmaceutical drugs, including the chemical content and the addictive properties of some of them. So then, there’s no reason why this fear of abuse should leave some people without access to medical marijuana. The government subsidy would be a step forward in encouraging people to use marijuana as medicine instead of dangerous pharmaceutical drugs. We shouldn’t be using the issue of abuse, especially of this plant, because it is in fact safer to abuse marijuana than some other pharmaceutical drugs. It would require the government to reschedule marijuana for this to take effect.